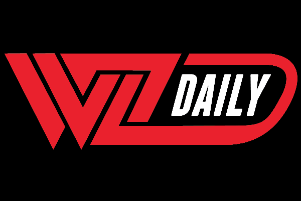 LISTEN/DOWNLOAD: 9/30 Edition of "WZ Daily"
Today at Noon EST, WrestleZone Daily, WrestleZone’s official daily pro wrestling news web radio show, aired on Mixlr.com/WZRadio! Host Nick Hausman was joined today by 2CW’s Bin Hamin (aka Ben Duerr). Today’s episode was the first WrestleZone Daily EVER to feature live calls from fans from around the country. A huge thank you to the fans that jumped in today to play around with us! Be sure to tune in later tonight to The Chicago Wrestling Rebellion from 5-7 pm CST. It is hosted by Nick Hausman & Ross Berman and will be streaming through WZ’s Mixlr channel. This will also be a call-in show and fans are encouraged to participate!